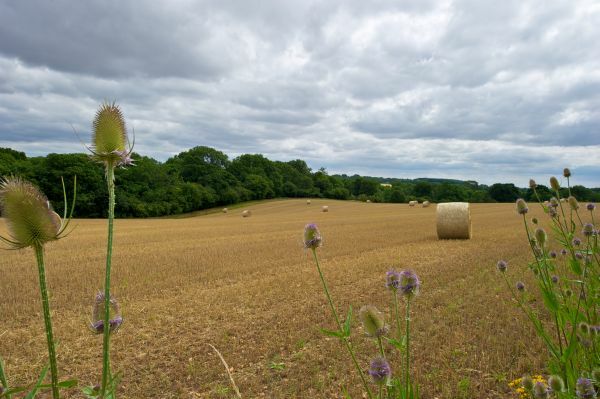 Barrington Park arable crops are grown within a rotation of approximately 5,000 acres which represents one of the largest organic farms in the UK. 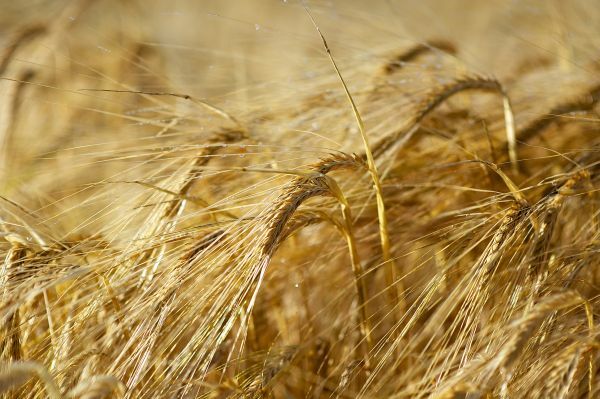 Crops include milling wheat, used for bread and biscuit making, malting barley, for the production of malt in the brewing industry and as a natural food sweetener, and milling oats used for breakfast cereals, porridge and cereal bars. The land extends either side of the beautiful Windrush valley, part of the Cotswolds Area of Outstanding Natural Beauty. Soil fertitlity is maintained by incorporating a range of legume fertility crops that include clover, sainfoin, lucerne and the use of manures produced by our suckler cows and sheep. The impact of weeds, plant disease and insects is minimised by the careful selection of crop varieties and a long term rotation. We build soil organic matter through incorporating clover leys and grazing livestock on the arable land which in turn stimulates soil biological activity, further enhancing soil nutrition. The source of all our food is the soil; healthy soils produce healthy food. 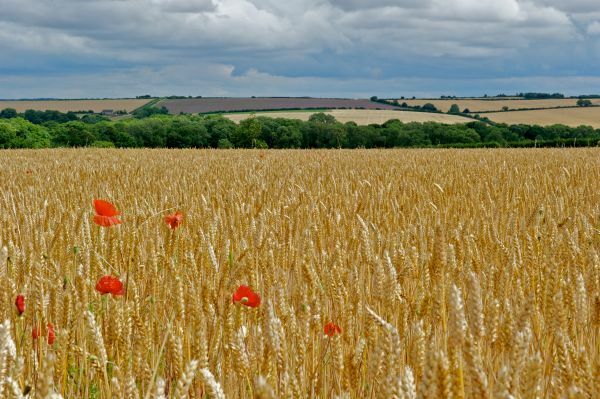 A variety of wildlife habitat schemes is incorporated within the arable rotation including hedgerow restoration, grass and wildflower margins and the reversion of some arable land to low-input grassland with the aim of enhancing aquatic and meadow wildlife.